What kind of mobile apps could be useful for Medicaid populations? ​A recent Deloitte survey revealed that most Medicaid beneficiaries have the technology and appetite for digital health. How can states and managed care organizations do more to engage them? Findings from the Deloitte 2018 Survey of US Health Care Consumers show that most adult Medicaid beneficiaries own mobile technologies, use them for a variety of health purposes, and are interested in trying new digital health applications in the future. One in five people in the United States are enrolled in Medicaid and a number of mobile apps on the market are designed to meet some of their diverse needs.1 In this article, we discuss several of these apps and explore how states and Medicaid managed care organizations (MCOs) might use some of these features and functions for their Medicaid populations. In early 2018, DCHS conducted an online survey of American adults in English and Spanish. This survey seeks to understand consumer interest, preferences, and attitudes around technology-enabled health. As such, the survey explores the current use of technology for monitoring health and fitness and the extent to which consumers are interested in using technology for health care services. Because the survey is administered online, respondents in all insurance groups may be somewhat more likely to own mobile technology and be more tech savvy than the overall population. It’s true that mobile device adoption among Medicaid beneficiaries has increased substantially in just the last two years; however, the majority of Medicaid beneficiaries owned these technologies even in 2016 (see figure 2). Thus, far from being disconnected, many Medicaid beneficiaries are likely using their smartphones for all or most of their internet activity, potentially making them an exceptionally receptive audience for mobile health apps. What kind of mobile apps could be most useful for Medicaid populations? States across the country have modernized their Medicaid eligibility and renewal systems in recent years. Some have also made Medicaid enrollment applications and/or online accounts available to Medicaid beneficiaries via mobile apps or through online mobile-friendly designs.8 Individuals can use these tools to apply for and renew their coverage, update contact information, and upload documentation. Some state and MCO Medicaid apps also allow individuals to find a nearby provider, view their benefits and cost-sharing responsibilities, and access a digital member ID card.9 Such features can help Medicaid recipients maintain continuous coverage and make it easier for them to access health services. As Medicaid apps grow in number and scope, states and MCOs may choose to expand their app features to better serve specific populations, such as people with behavioral health conditions, individuals with disabilities, pregnant women, and people with risk factors related to the social determinants of health. Below, we discuss several apps that are designed with some of these Medicaid subpopulations in mind. According to the Anxiety and Depression Association of America (ADAA), mental health apps can be effective in making therapy more accessible, efficient, and portable.12 Happify and CPT Coach are two among many apps designed for individuals with mental health conditions. In addition, some apps for substance use have shown promising results. With funding from the National Institute on Drug Abuse (NIDA), The University of Wisconsin School of Medicine and Public Health developed Seva, an app for people who had completed substance abuse treatment. Key features of the app include discussion boards, interactive problem-solving modules, tools for coping with cravings, and tips for dealing with high-risk situations. Other features include sobriety counters or calculators and GPS features that help people find their nearest 12-step meeting. Two hundred and sixty-eight people were enrolled in a pilot study of the app, and indicators were checked initially and at six and 12 months. The following results were found: The number of “risky drinking days” dropped by 44 percent, hospitalizations dropped by 32 percent, and visits to the emergency room dropped by 49 percent.16 While an app cannot replace person-to-person contact with a trained behavioral health provider, it may be useful when someone needs immediate help with a trigger or high-risk situation, and may help keep people focused on their goals between sessions with their providers. Some mobile apps already facilitate some of these initiatives. The New York City Food Assistance Collaborative has launched Plentiful, a coalition of public and private organizations working to alleviate hunger in New York City. Families can log onto the app to find food pantries and make a reservation. Created by a social worker, Social Work Helper is an app designed to help connect social workers and people to resources such as social services, homeless shelters, and crisis help centers.33 Like Wyoming’s Due Date Plus app, state Medicaid agencies and MCOs could incorporate such features into their apps by including social determinants screenings and making automatic referrals to social services and community-based organizations (CBOs). A number of apps currently exist that are designed to meet the diverse needs of Medicaid populations. However, beneficiaries may not necessarily know about them; they may be customized to one state or city and not replicated in others; and there may be little or no testing or evaluation of their efficacy. States and MCOs should consider helping their enrollees navigate the expanding field of apps by creating a customized Medicaid app that offers tools and features tailored to Medicaid beneficiaries’ needs, including the types discussed in this article. There are several potential benefits to this approach. First, by bringing a variety of features and tools together into a single platform, Medicaid agencies and MCOs could provide a one-stop app for all or most of their enrollees’ needs, rather than leaving it to the enrollee to find and download apps piecemeal. Second, a state- or MCO-developed app could be tailored to the state or cities/regions therein so that the tools and resources are as relevant as possible to app users. Third, this approach would allow states and MCOs to curate the app so that only tools and features that have been tested and deemed effective would be included in the integrated app. Finally, an integrated app would allow states and MCOs to conduct their own research on the effectiveness of tools and features, as Wyoming was able to do with the Due Date Plus app. Looking ahead, mobile apps could play an important role in states’ and MCOs’ continued efforts to better engage Medicaid beneficiaries and improve care management. However, it is important to note that although mobile apps have the potential to augment existing resources and services, they cannot replace them. Health care consumers say that personalized experiences with providers are the most important interactions they have with the health care system, and that they want to be heard, understood, and given clear directions through a personalized health care experience.34 Moreover, proper diagnosis and treatment of certain conditions still require hands-on, direct interaction between physician and patient. This is particularly true of Medicaid beneficiaries who face many of the complex medical and social issues discussed in this piece. Finally, while the majority of Medicaid beneficiaries have mobile devices and are interested in digital health, 14 percent still lack such technology,35 and some people with mobile devices do not feel comfortable engaging with digital health tools.36 As states and MCOs continue to develop their digital health technology, it is important that they maintain non digital tools, resources, and communication channels and that the physician-patient relationship remains at the center of health care delivery. Melissa Majerol is a health care research manager with the Deloitte Center for Government Insights. She is based in Washington, DC. 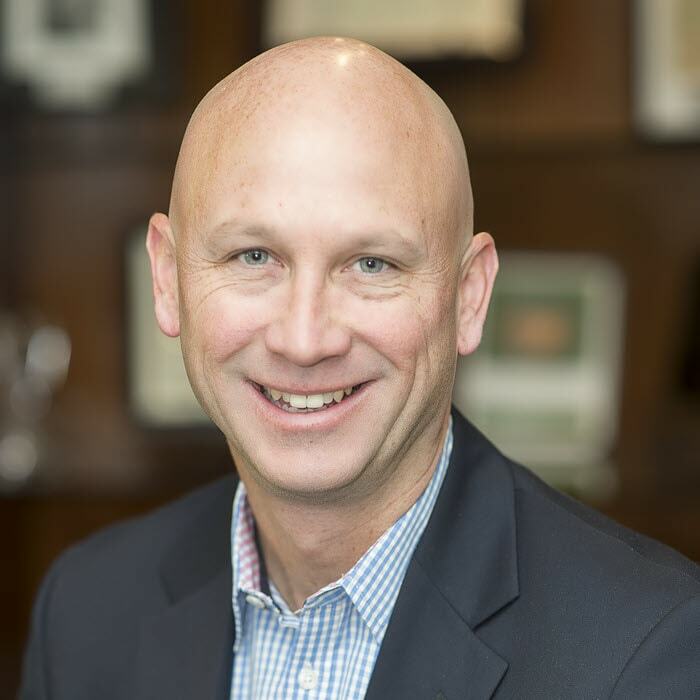 Wil Carroll is a principal with Deloitte Consulting LLP and the market offering leader for Deloitte’s Medicaid Enterprise Solutions. He is based in Sacramento, CA. The authors would like to thank Sarah Thomas, Casey Korba, Sima Muller, Wade Horn, Jim Hardy, Lindsay Hough, Bill Eggers, and the many others who contributed to this piece. Special thanks go to Leslie Korenda for leading the survey design and implementation, and to Paola Castillo for translating the survey from English into Spanish, which allowed us to reach a broader sample. Medicaid and digital health has been added to your bookmarks. Medicaid and digital health has been removed from your bookmarks.